Having been a great fan Disney’s 1982 film, “Tron” was probably one of the first movies that sparked my interest in 3D modelling and animation. If you haven’t seen it, it’s a fantastic film - especially for those early years of computing. Compared to today’s 3D realism it’s archaic obviously, but still very impressive for the ‘80s. I had heard that someone was possibly working on a Tron remake/sequel, as it seems most series and movies are being re-done- one of the best probably being “Battlestar Galactica”, but that’s a topic for another lengthy geeky post - so I was delighted to read Cliff Kuang’s post on Fast Company about a new film called “Tron Legacy”. This is the 2009 teaser trailer for Tron Legacy, assembled from the proof of concept video for TR2N, directed by Joseph Kosinski, which was shown in Hall H at the 2008 San Diego Comic Con after the Race to Witch Mountain panel. Teaser Trailer for Tron Legacy (aka Tron 2, Tr2n). The sets seem very impressive and there’s definitely some great quality CGI in there. What shocked me was that the director is apparently an architect! Joseph Kosinski’s first time feature is foreseen to be one of the most expensive films ever, but an immensely immersive one. As an architect he understands three-dimensional space better than most and with his extensive design and technology background, he seems to be the right man for the job. Although he never went into practice, he describes - in his interview below from the 5D conference - how the architectural lessons he has learned have influenced every aspect of his film work. 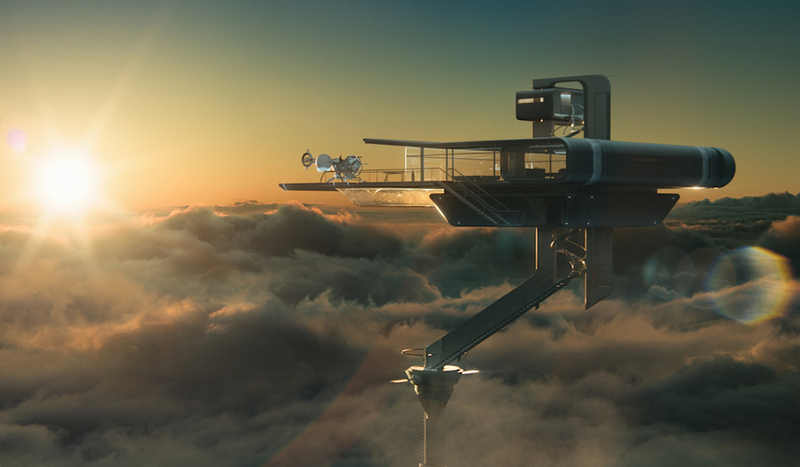 In part four of Narrating Space Tron Legacy Director Joseph Kosinski explores blurring the boundaries between architecture, film and graphics. This panel contemplates the science and fiction of where virtual and material environments meet. The panelists will explore what happens to the experience of architectural form, volume, navigation, materials, urban context, authorship and the communities that they create when they are projected into a digital world. Kosinksi's followup to Tron Legacy became "Oblivion" - where he was writer and director - locking in Tom Cruise, Morgan Freeman and Olga Kurylenko for the main roles.